It’s Monday today, but it’s also the day of the Waffles here in Sweden. And I for one, think it’s a fabulous day. I mean what Monday is complete without dessert? None, thank you very much. In Sweden all the grocery stores have been filled with ready made waffle mix and jam strategically placed. Just for you to grab as you are going to pay. Just in case you would forget your waffles. 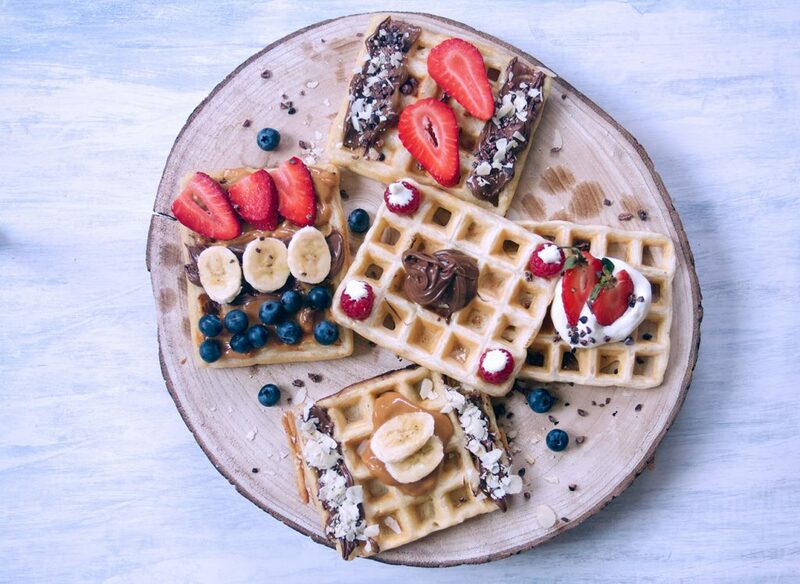 There are of course several ways to make waffles. There’s of course the classic waffle. With different, mostly sweet toppings. 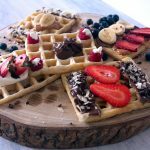 In this post, I will give you the classical Swedish waffle recipe and from that, you can make your own versions. And add whatever toppings you like on it. Maybe even ice cream? 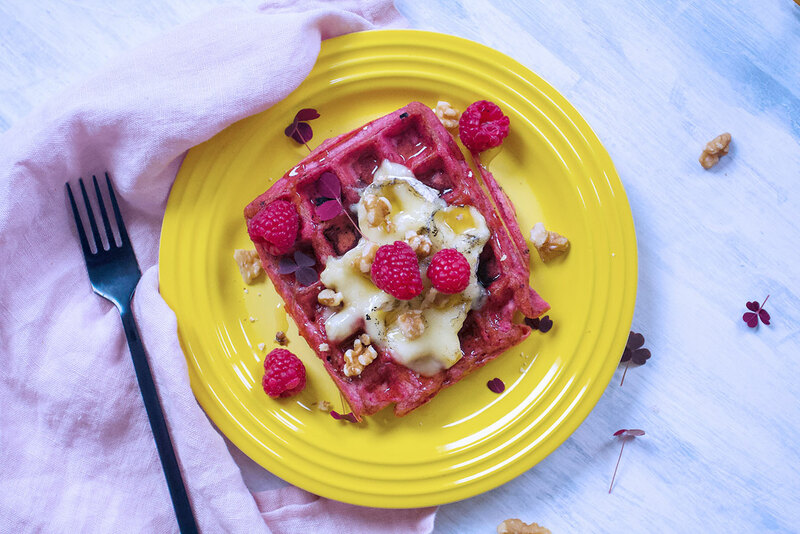 I also have a fabulous recipe for a savoury waffle. It’s filled with spinach and cheese. It was originally a recipe I created for Easter, but it works very well now too. Today I’m giving you three different versions using the same base. I made a few ones for dessert with chocolate and berries. 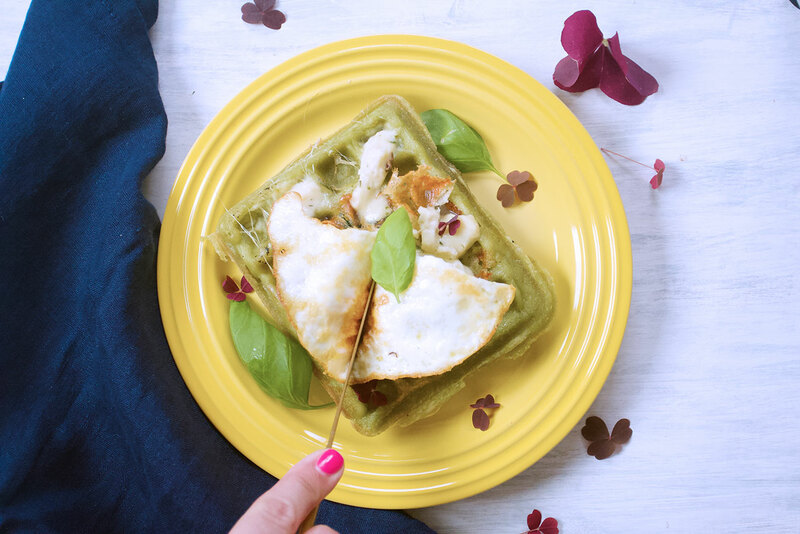 Then I made a spinach waffle with mozzarella cheese, basil and an egg. The second one was our savoury favourite at home and it was inspired by this event. It also holds very Swedish flavours. It’s beetroot, liquorice topped with brie cheese, honey and walnuts. There are instructions in the recipe notes how to make the savoury waffles. If you like this recipe and want to make it, please share, or pin it for later or tag me on Instagram if you make it! 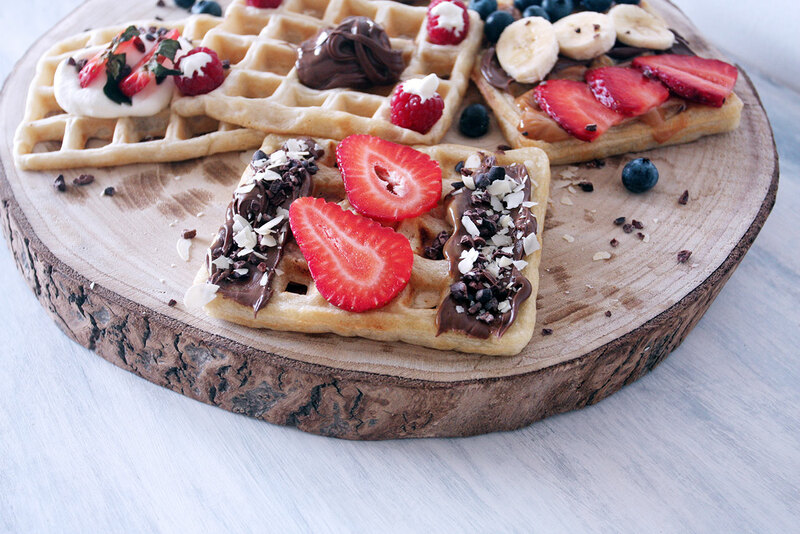 Waffles are good on any given day. But especially on Waffle’s day. Heat the waffle iron and brush it with a little butter, so the waffles don’t stick to the iron. Pour about 100 ml of batter for each waffle into the waffle iron. Bake the waffles for about 5 minutes. You can omit the eggs should you want. Mash 1 larger banana and add it to the batter instead. If you want to make the spinach version either chop about 60-70 gr of fresh spinach and add it to the batter or 1,5 tbsp freeze dried spinach. If you want to make the beetroot one add 1 tbsp freeze dried beetroot, 1 tsp salt and (this is optional) 0,5 tbsp liquorice powder.